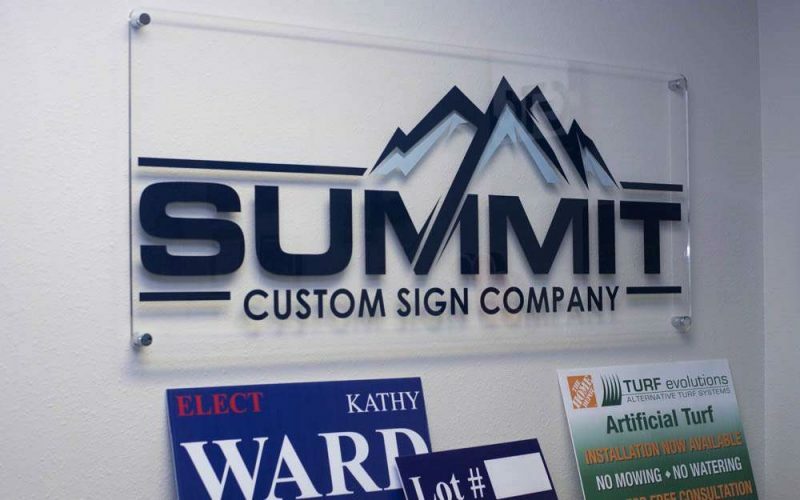 Summit Custom Sign Company is a locally owned and operated business, committed to providing premium signage solutions to the Colorado Springs community. We are focused on building solid business relationships with our clients based on hard work, honesty, and respect. No matter if you need custom vehicle wraps for your entire company’s fleet, a window graphic for your storefront, or attractive banners for your office space, we are ready to get the job done. Also, because of our high-end technology, strong work ethics, and the most capable staff equipped with the necessary marketing experience, we can provide advice on what are the best signage products for you, based on your business needs, characteristics, and location. If you want to get noticed in a crowded marketplace, improve your brand’s awareness, and communicate your company’s message effectively, then you need to team up with a serious graphic design company that can create world-class signage that stands out from the rest. At Summit Custom Sign Company, we are highly professional designers and certified installers that have worked in all types of signage projects for businesses and organizations in Colorado. We know what works best and what the latest trends in the market are, and we always look forward to meeting with our clients and helping them make the best decision in regards to which signage products they need. Our customers are our reason for being. Everything we do is to help their business grow and increase their profits, so if they are not satisfied with our work, we will do it again until they are. It is the time that you become one of our many satisfied recurrent customers who contact us each time they need signage products for their marketing campaigns. We are sure that we can help you with all your signage needs by combining our printing and marketing expertise with our unparallel customer service. Give us a call today or visit our website and request a free estimate.